I heard about this contest through friends who were participating and thought it was an opportunity to use writing to try to make a positive impact on the world. I believe writing is an extremely powerful and effective tool in inspiring empathy among people whom may not have anything in common. I definitely seek to continue to explore writing to find out how I can become more effective in using it as a tool to connect people from different backgrounds. A cause I have recently discovered an interest in is the discrimination of certain peoples across the globe, and I have a particular interest in the history of racial inequality. Also, in the process of writing the poem “Fragments,” I also gained interest in the origins and result of the Syrian Civil War. 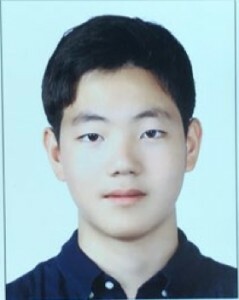 Booyeon Choi’s winning poem will be featured in our 2018 edition of DoveTales, An International Journal of the Arts.